We have blocked rooms until April 12th at $137 per night at the Four Points Hotel for the AGM in Moncton. Please make your reservations today by calling 852-9600 before they sell out. Mr. Dan Leger has proposed another change to Dental Assistants in regards to licensing timing. A recommendation has been made to the New Brunswick Dental Society Board of Directors that: Licensing and Association membership renewal for Dental Assistants be harmonized annually in the month of October. FOR OCTOBER 2019 ONLY there will be a 17% discount on the fee because of the earlier renewal date. We can have a discussion around this during our business meeting at the AGM. Bernice and I will do our best to answer any questions you may have. 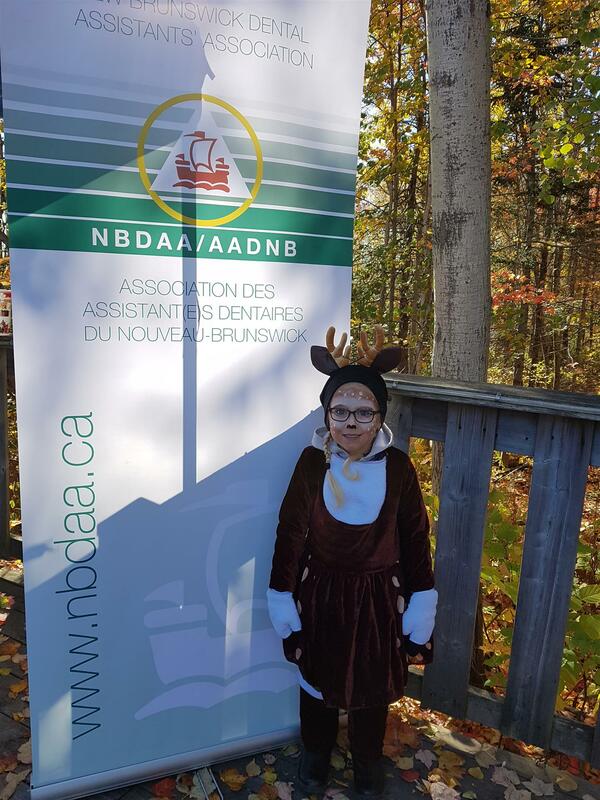 For five years now, the NBDAA offer two $500 scholarships to a student from New Brunswick attending a dental assisting program in Canada. 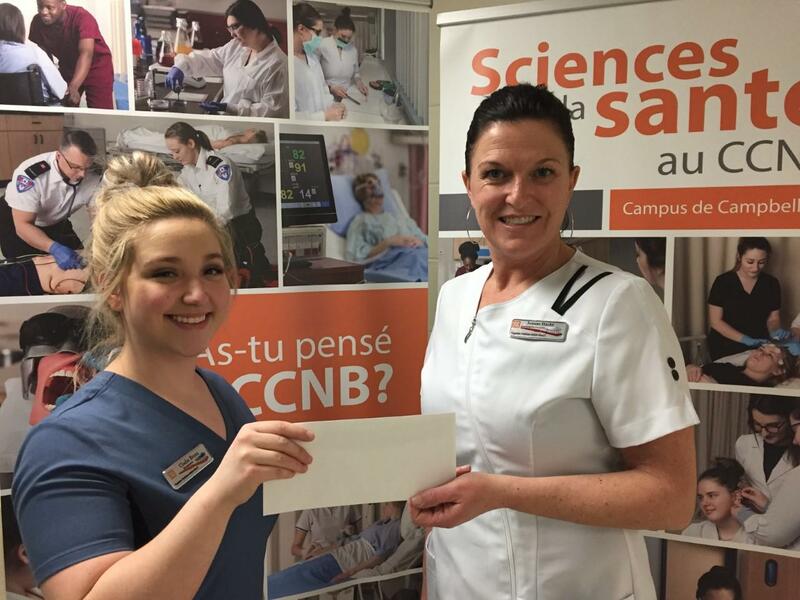 We are happy to introduce Clodie Breau, student at CCNB campus in Campbellton. In the photo, left, Clodie and her teacher, Joanne Haché. Congratulations! 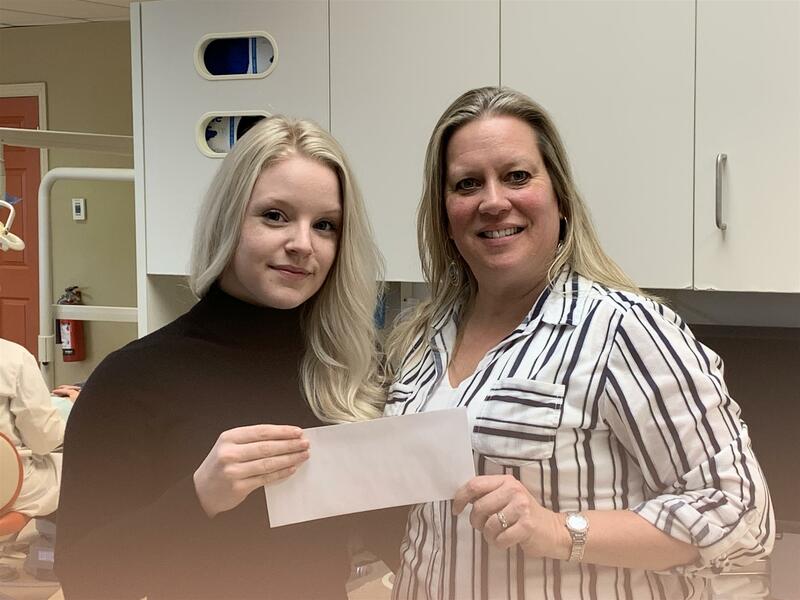 Our second recipient of the $500 scholarship is Alyssa Kilcollins, student of Oulton College of Moncton (left) and her teacher, Heather Melvin (right). In recognition of the dental assistants recognition week, 5 members from each local and 5 members provincially will receive a $25 gift. Congratulations to the winners and have a great week! 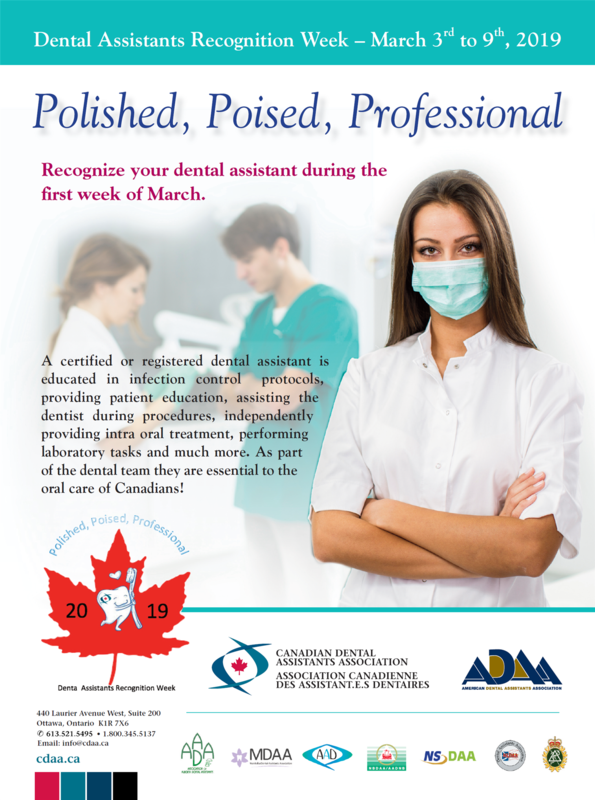 2019 Dental Assistants Recognition Week is March 3-9, 2019. Print your poster and proudly post it in your office for everyone to see. The Holland College Distinguished Alumni Awards recognize graduates who have demonstrated professional excellence and leadership in their communities and their industries on a local, national, or international level. There recipients have brought great honour to Holland College and service as excellent examples for our current students. Each honouree receives a Holland College Distinguished Alumni Award - a unique sculpture commissioned from local artist Peter Llewellyn. This award is a blue heron carved from Prince Edward Island sandstone. Jan has served her profession and community as a dedicated employee and volunteer for almost 30 years. 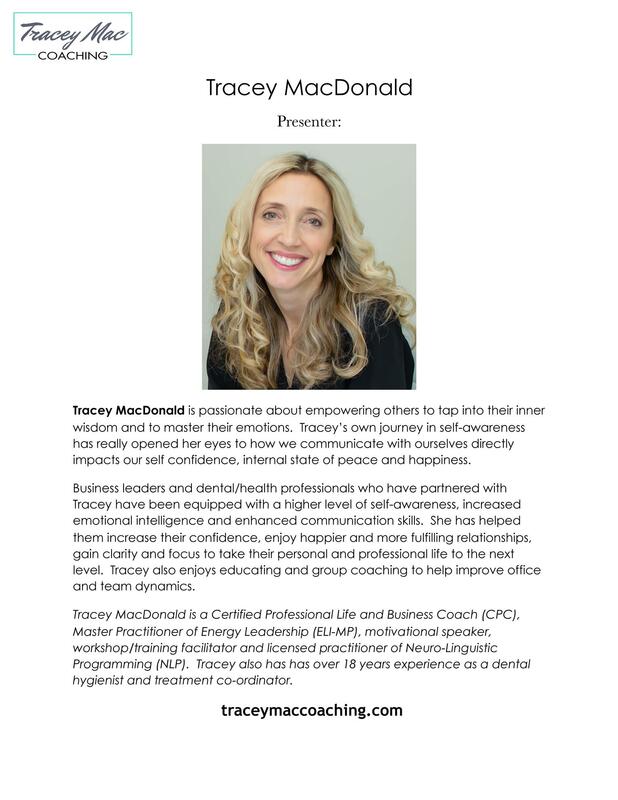 She has been employed in private practice, taught at Holland College, introduced and taught a Dental Reception course at the Atlantic Business College, and is currently the team leader of federal Programs for the Medical Authorization Centre-Dental for Medavie Blue Cross. Jan was instrumental in the development and implementation of the National Dental Assisting Examination Board's clinical practice exam. 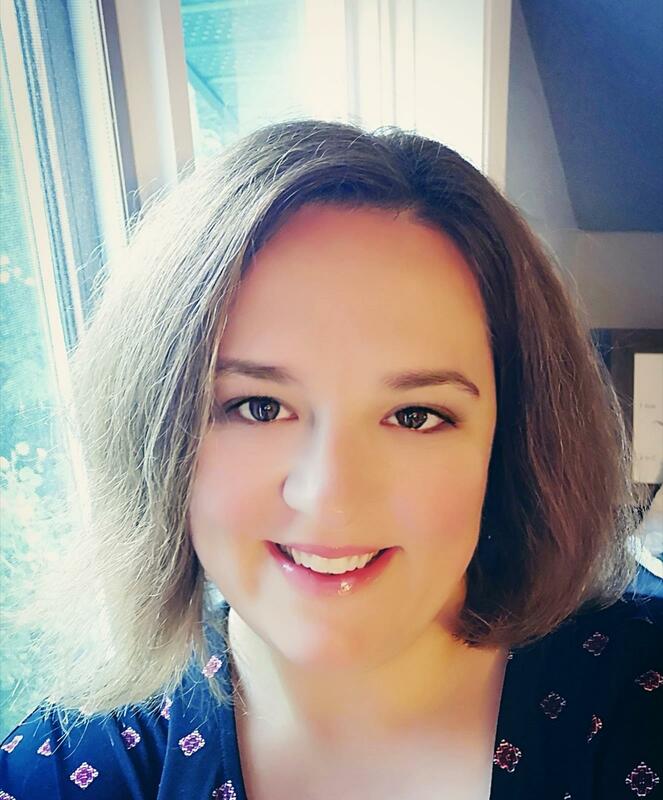 She is a facilitator for the Maritime provinces, and serves the National Dental Assisting Examination Board in both official languages. 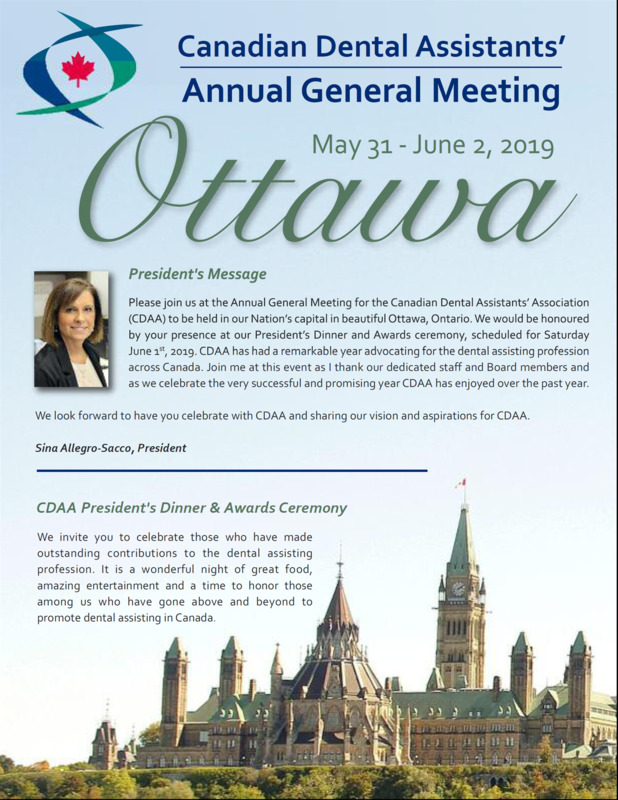 Jan has been active in her professional association since graduation, and has held leadership positions in local, provincial, and national levels as the president of PEI Dental Assistants Association, the president of the NB Dental Assistants Association (NBDAA), and as the president of the Canadian Dental Assistants Association. Jan received her 25-year service pin for active membership in the NBDAA. 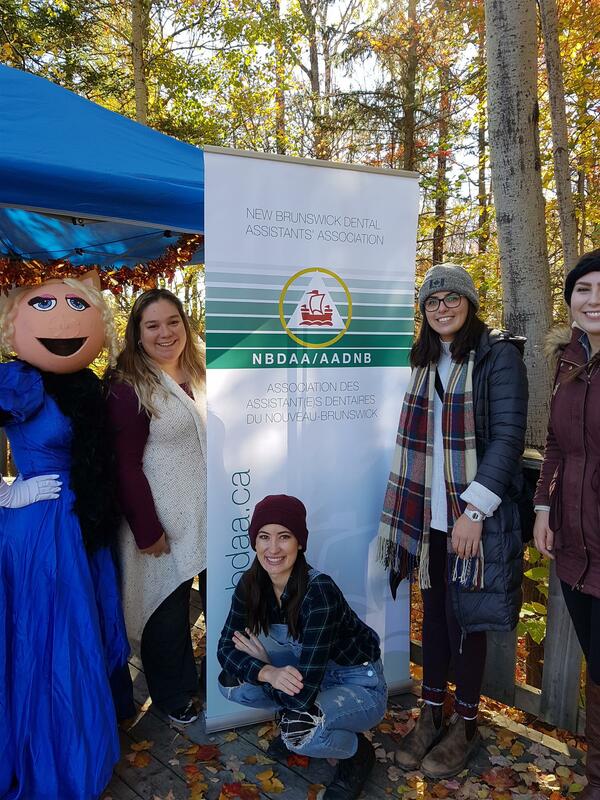 She has volunteered with the Ronald McDonald Room at the Moncton City Hospital, the Heart & Stroke Foundation, and the Juvenile Diabetes Research Foundation. In 2018, she participated in Harvard Business School's ManageMentor program for Medavie leaders, graduating as an Elite graduate. Jan is married to Gary, who is serving in the military as a chaplain. They have two adult children and a new grandson. "We are very proud of you, Jan"
Registered Continuing Education Points have been updated. Living healthy starts with eating healthy. 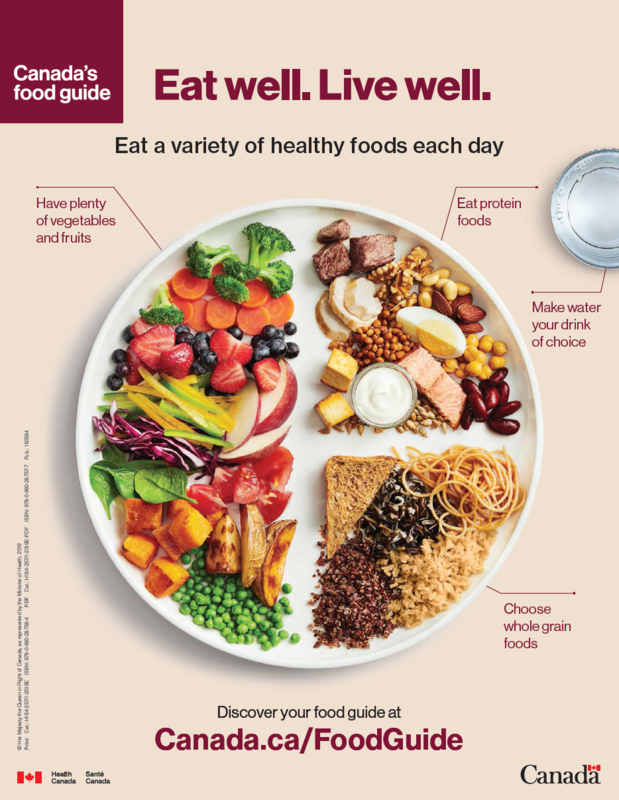 Take a look at the new Canada's Food Guide. NBDAA's local telephone number has changed to (506)876-4662. Greetings Fellow Dental Assistants. 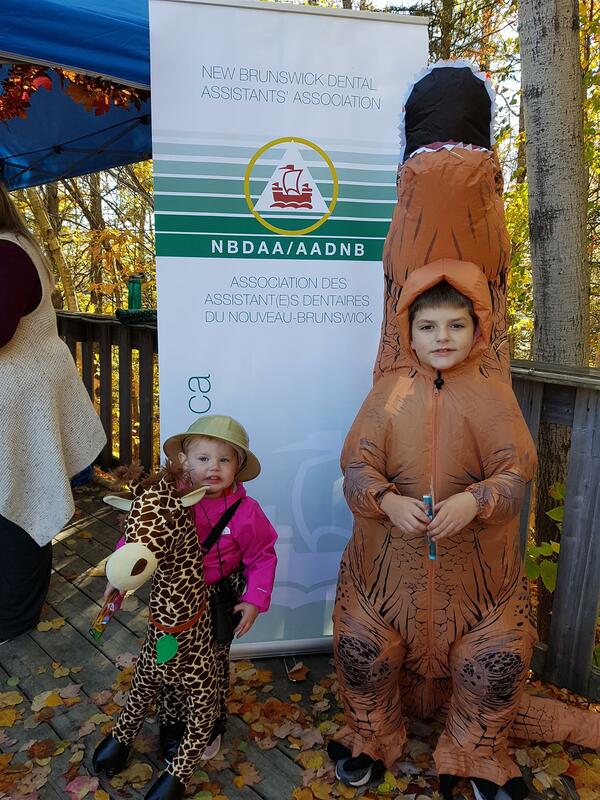 Thought I would submit some photos that I took at BOO AT THE ZOO at Moncton Magnetic Hill Zoo in Mid-October/18. 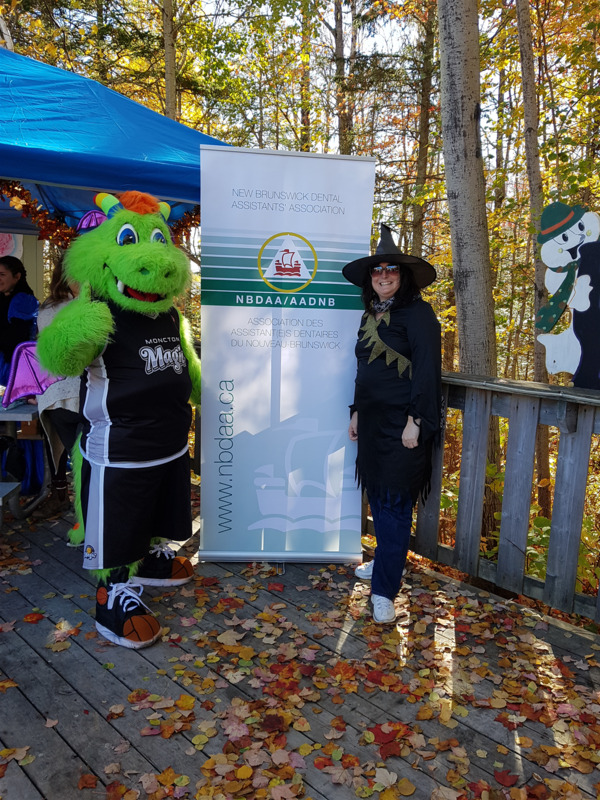 I joined the Dental Assistant and Dental Hygiene Oulton College students and helped distribute tooth brushes, floss threaders and toothpaste to the children who participated in BOO AT THE ZOO. Hope you enjoy and get a little chuckle. The Saint John local is searching for a new President, Treasurer and Secretary. If you are passionate about the dental assisting profession, a leader with a go get it attitude to help organize local meetings, we want to hear from you. Contact Annette Kierstead or any other members of the board of directors. With the new by-law no. 3-2 with NBDS. If you have not been licensed with NBDS for several years, you only have the remaining of the year 2018 to be compliant and obtain your license again. With NBDAA, you will need to provide 12 continuing education points for each year that you were not a regular member. If you lapsed 7 years, you need to provide 7 years x 12 CE/yr = 84 CE points. The above option will no longer be available in 2019. This is your chance to become compliant with the by-law and enjoy a long lasting career as a professional dental assistant. • The complaint be dealt with by the Discipline Committee for the third offense. If you are licensed now or wish to be anytime in the future, you must maintain your 12 continuing education points annually throughout your career as a level II dental assistant. For more information on licensure - see NBDS by-law 3-2. (Volunteer = 1 pt per event) - Maximum of 5 points PER YEAR will be ACCEPTED. Must be related to health or dental. a) Une responsabilité professionnelle ou obligations éthiques du participant. (Bénévole = 1 pt par événement) - Un maximum de 5 points PAR ANNÉE sera ACCEPTÉ. Doit être relié à la santé ou dentaire. You may enroll in the Group Retirement Savings Plan by filling out the Pension plan Application form and returning it to the NBDAA office. Saturday, May 4th, 2019 at 9:30 a.m.
Thursday, May 30th, 2019 from 5 p.m. to 7 p.m.
"Are you passionate about where your profession is headed? Do you consider yourself a leader? Do you have the ability to analyze information, establish productive relationships, and communicate effectively? If you answered yes to any of these questions then you could be a candidate for the NBDAA Board of Directors. If you are curious, call us now at 532-9189 or Toll free: 1-866-530-9189 or simply send an email to bernioff@nb.sympatico.ca. We'd love to have you join our team!!!" OFFICE IS CLOSED ON MONDAYS / Le bureau est fermé les lundis.